One of the visiting points of both local and foreign tourists in Turkey are carpet workshops. Almost every region of Anatolia has carpets with peculiar adornment and colors. These nice pieces reflect a tradition that is passed on from generation to generation. The history of Turkish carpets & rugs is generally divided into two. The first category is early Turkish carpets adorned with geometric motifs and nature depictions; second category is classical period Ottoman carpets adorned with flower motifs and medallion emblems. The history of Turkish carpets date back to the nomadic roots of the Turks in the Central Asia. Carpet had a strong influence in nomadic tribes. Because they were moving quite often and lived in tents, carpet was a portable object which made the ground easy to step on. Initially, carpet was used due to its functionality and later it had decorative features in order to adapt to tents and surrounding environment. The oldest carpet is Pazyryk carpet dating back to 400 BC. 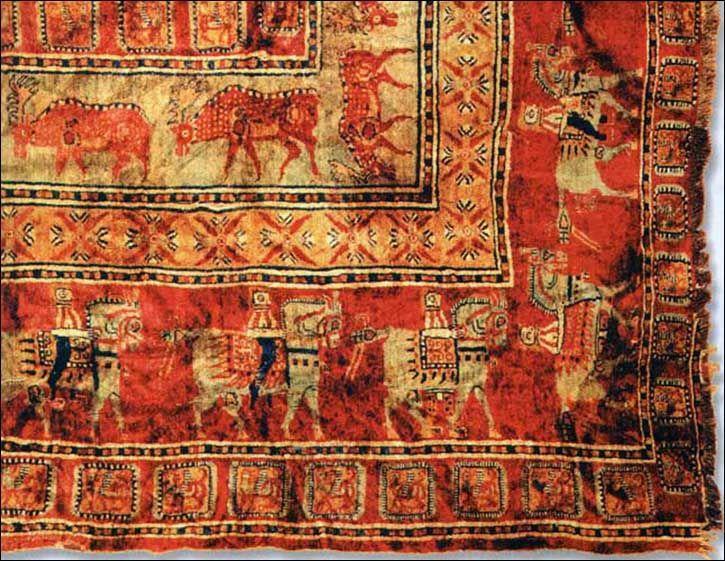 Found during archeological excavations in Siberia, the history of this carpet date back to the period of Scythians. It is exhibited today in Hermitage Museum in Russia. 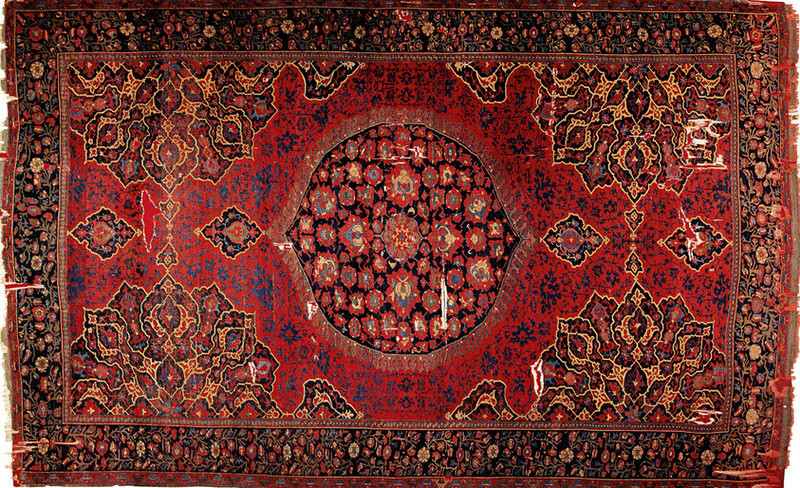 History of the carpets start with the oldest surviving rug: Pazyryk Carpet. The oldest known Seljuk carpets are the 13th Century ones in Alaeddin Mosque. Seljuk Empire era carpets embody characteristically blue and red tones, some arabesque motifs and kufic script. Kufic is a calligraphic depiction of Arabic letters in straight and angular lines. Kufic motifs can be found on the edge of Seljuk carpets with pointy ends like arrow and hook-like motifs. One of the things that make the carpets special is a weaving method peculiar to Turkish carpets called Ghiordes knot. Ghiordes knot is a double knot weaving style which makes the carpets stronger and more enduring. In the 13th Century, famous traveler Marco Polo who visited Anatolia noted that the best carpets were weaved in Sivas and its surrounding area which he called Turkomanya. In the 14th Century, another traveler, Ibn Battuta praised Turkish carpets and wrote that the carpets were exported into all the known trade centers of the world. The beauty of Turkish carpets took the attention of Europeans. 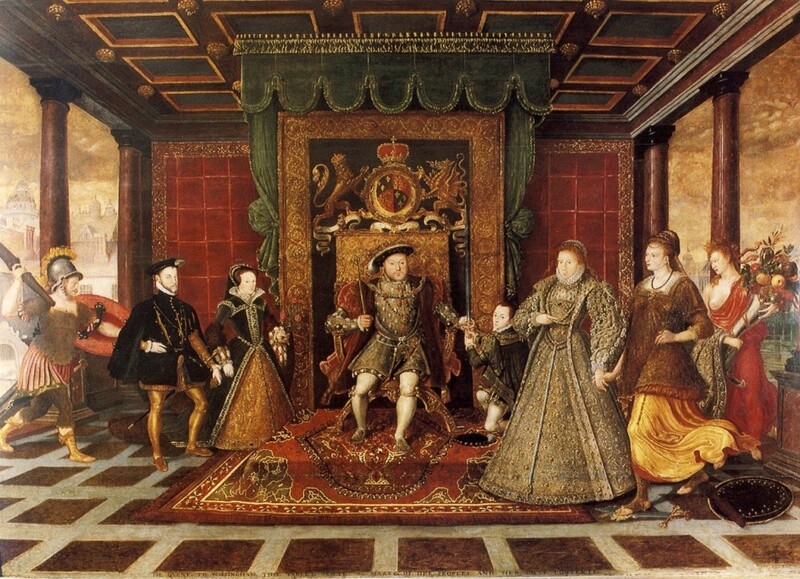 Palaces and houses of aristocrats were decorated with these carpets. 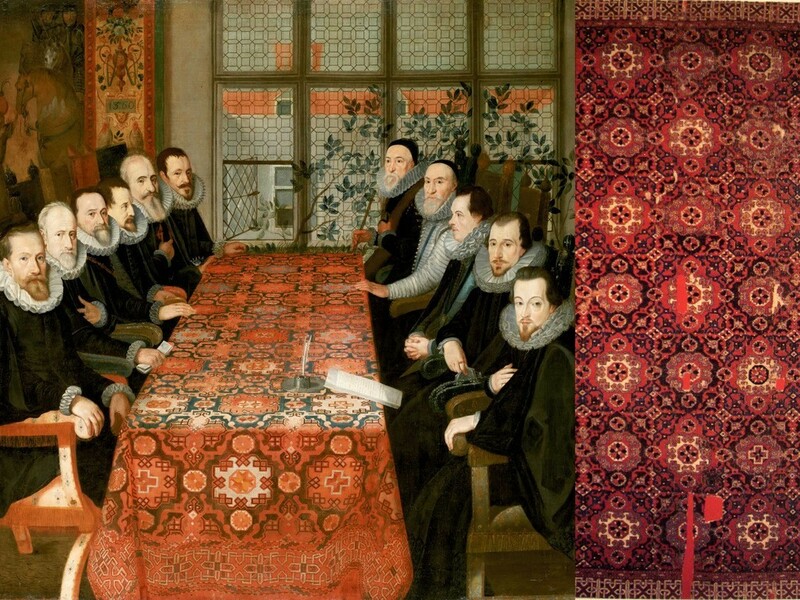 Artistic potential of glamorous carpets engaged the interest of Europe’s famous painters. 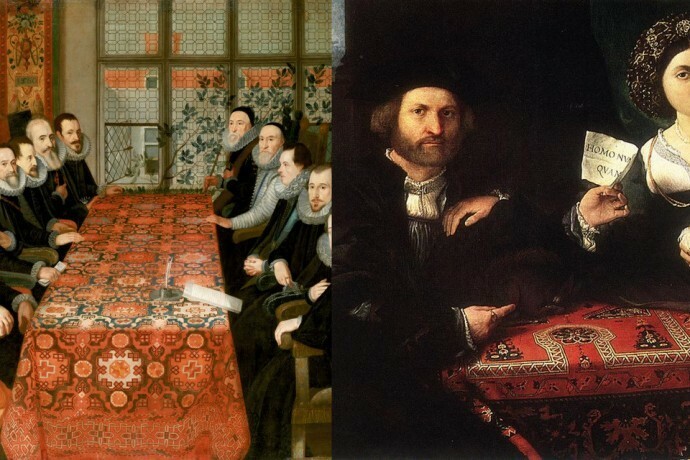 Including Renaissance painters Hans Holbein, Lorenzo Lotto and Hans Hemling, many famous painters included Turkish carpets in their pieces. Some of the carpets made famous by European painters can be found today in Turkish and Islamic Arts Museum (Ibrahim Pasha Palace) in Sultanahmet. During the rule of Selim I, when Tabriz in 1515 and Cairo in 1517 was captured by Ottomans, motifs of Turkish carpet changed significantly. 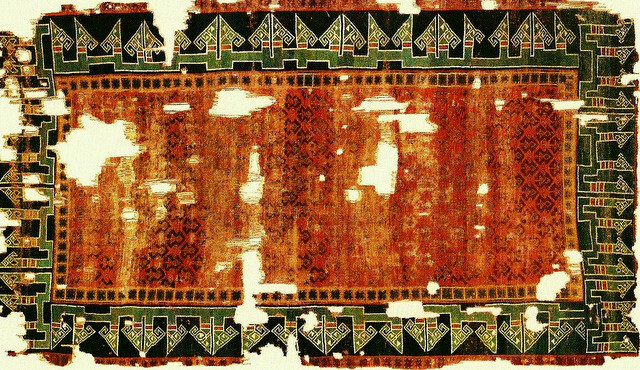 Geometric motif of Anatolian carpet was no longer used. Carpet masters from Cairo and Persian influence due to Tabriz, Turkish carpets started to be adorned with complicated motifs. The distinctive point of classical period Ottoman carpets is the inclusion of medallion emblems signifying the sultanate and flower motifs. Carpets made in Konya (Iconium), Kayseri (Cesaria), Uşak (Oushak) and Bergama (Pergamum) decorated the palaces of European dynasties for long years. Italian city states which ruled the sea trade from Istanbul to Europe and especially the Venetians made carpet trade a profitable job. Uşak (Oushak) Turkish Carpet in King Henry VIII’s Palace. During the 1850s, Sultan Abdulmecid was about to move from Topkapı Palace to Dolmabahçe Palace, which he built in Bosphorus. He asked for best carpets to be made for the new palace. Therefore big-sized workshops were established in the town of Hereke. 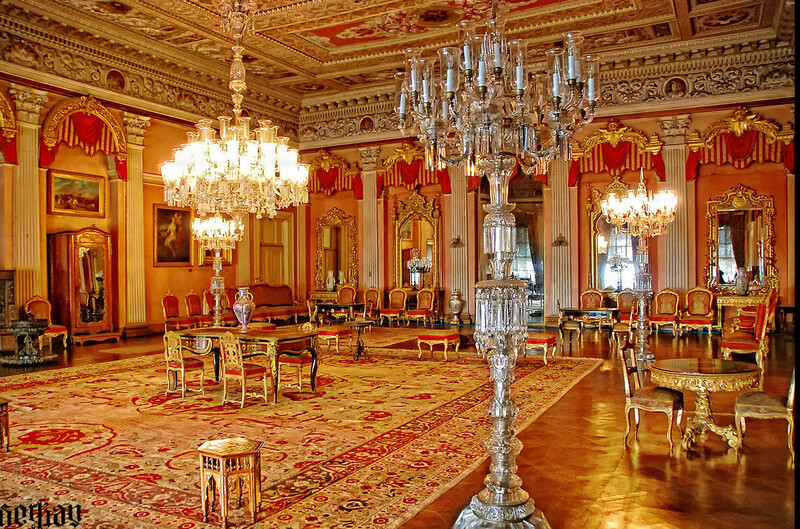 Some of the closest woven carpets in the world were made for Dolmabahce Palace. This 160 years old carpets still decorate the halls and rooms of the palace. Hereke region became a sort of trademark for carpet industry and it is now known for its carpets. The heart of carpet industry today beat in the touristic cities like Istanbul, Izmir and Kayseri. Biggest carpet workshops and stores are located in Grand Bazaar in Istanbul, Ephesus and Kuşadası in Izmir and Cappadocia area in Kayseri. Carpet weaving requires a great deal of meticulousness and patience and therefore it falls victim to fast consumerism of modern times and the number of people who can weave carpet is decreasing. The production is shifting to India and China due to cheaper workforce in those countries. 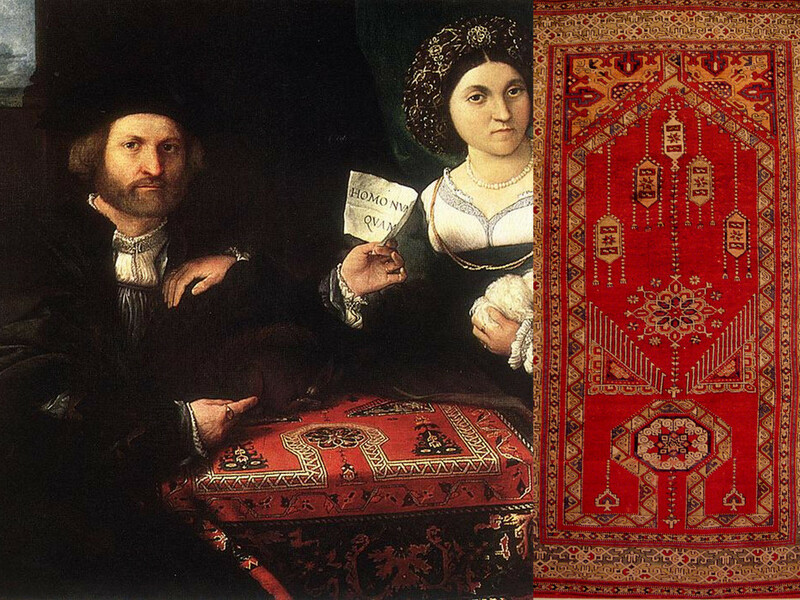 Today Hereke and Uşak (Oushak) carpets are rare and expensive due to low production. Wool-made geometric motif Anatolian carpets are easier to find and therefore they are cheaper. To find the right carpet at the right price requires a special expertise.